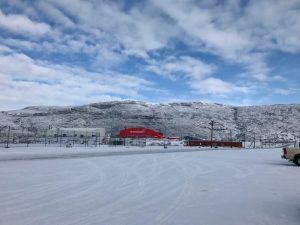 On Tuesday, April 18, the FirnCover team arrived safely in Kangerlussuaq, Greenland. 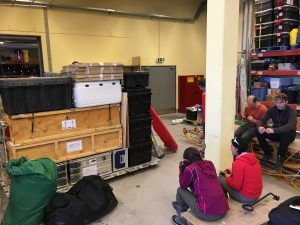 It takes a lot of preparations for a 3 week traverse on the ice sheet. Training meetings abound. 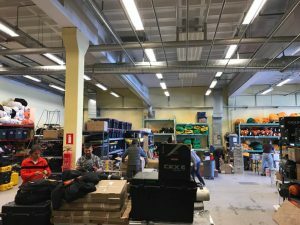 Knowing how to use the communications systems, operating and maintaining snow machines properly and covering general safety on the ice sheet in the elements (temperatures can plummet to -40º F) are critical in ensuring a safe and successful field campaign. Not to mention packing all the science equipment and essential supplies needed which include food, clothing, shelter, fuel, and the must have bits of entertainment for storm days like board games, cards, puzzles and the occasional adult beverage. 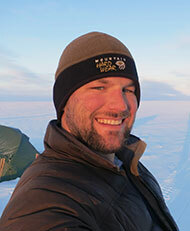 The team should be on schedule to depart Monday, April 24 to the ice sheet. Stay tuned! Good luck to all of you! Stay safe, dry and healthy! I look forward to all your posts.